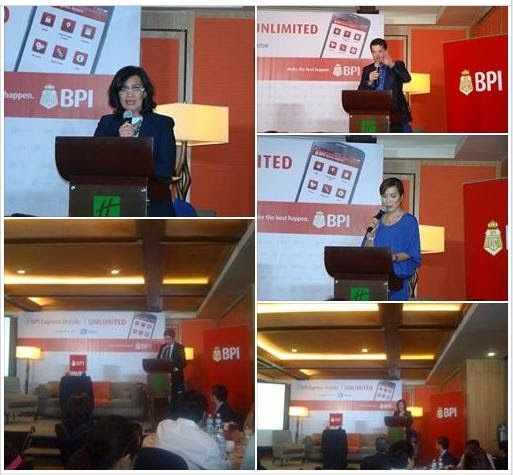 Bank of the Philippine Islands (BPI) launched free access to the BPI Express Mobile app, the most downloaded finance app in the country. Starting April 30 until August 31, 2014, Globe Telecom’s 38 million prepaid, postpaid and TM subscribers will enjoy using the said app since the data charges are waived whenever they log on and transact using the BPI Express Mobile app. Since its relaunch in June 2013, the BPI Express Mobile app has been the number one downloaded finance app in the country according to SVP Manuel C. Tagaza, Electronic Channels Group Head. This innovation reinforces BPI's commitment to be at the forefront of introducing new, convenient channels in order that their clients may access their accounts fast and easy. BPI Express Mobile app gives access to power of banking with just a swipe of the finger wherever they are, whenever they want to. Gone are the days when customers queue in long lines for their bank transaction. With the BPI Express Mobile app, users can complete banking transactions using their mobile phones in as fast as 30 seconds. “This partnership with BPI enforces our customers’ digital lifestyles, where access to the mobile phone is not just about calls and texts, but financial services as well. With the growing smartphone users, more customers will definitely benefit from this wonderful service using our robust mobile data network with the largest 4G coverage nationwide, giving subscribers faster and seamless connectivity and making the banking experience more convenient through the use of a smartphone,” says Daniel Horan, Senior Advisor for Consumer Business at Globe. You may download the BPI Express Mobile app from the iTunes App Store, Google Play, and Blackberry App World. Downloading the app itself is subject to corresponding data charges. Visit www.bpiexpressonline.com for more information about this promotionn. I appreciate you for this post, all is extremely good! Your Content are above and further than many people about this subject matter. Thank you so much for your help.